Nigel’s Dream is the ninth album from Tuba Skinny. 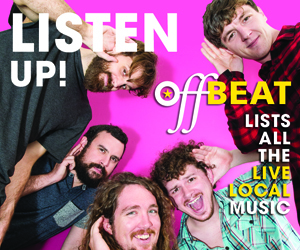 Recorded in December 2016, the band was unhappy with the sound quality and decided not to release it. Luckily for us, upon later inspection, they decided they liked the performances and to release it anyway. 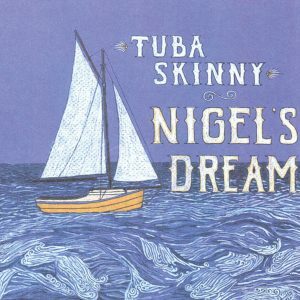 So here we have a delightful new album from Tuba Skinny that starts off with the jaunty calypso number “Belamina.” The next four songs are original compositions of impressive quality: “Unfortunate Rag” by Tomas Majcherski, “Nigel’s Dream” and “Tangled Blues” by Shaye Cohn, and “Levee Waltz” by Robin Rapuzzi. Tomas has a great sax solo on “Nigel’s Dream” and “Tangled Blues” is perfectly punctuated by Erika Lewis’ moaning vocals. It’s back to hot and fast with “Dusting the Frets” and then another original, “Springtime Strut” by Tomas, which has a throbbing rhythm that the horn solos somersault over to sublime effect. Much like on Louis’ 1931 version of “Stardust,” “Jazz Battle” is the perfect showcase for Craig Flory’s dizzying technical abilities. The Piron/Bocage tune “Bouncing Around” is much the same, a high-flying three-ring circus in fantastic synchronicity. The rhythm section is dead on, relaxed yet still driving the song forward. “Any Old Time” comes at the perfect time to slow things down and show us a softer side. Greg Sherman’s vocals are wonderfully twangy and lonesome. The album reverts back to jumping and lively and keeps it going with “Fireworks” and “Oh Red.” Erika graces us one more time with “Some Cold Rainy Day,” and then the album finishes on the slow-waltzing “Dream Shadows,” which sways and lists like the sailboat on the cover, coming to a resolution that suggests there’s still more beyond the horizon. I’m so glad they decided to put this out into the world. Economy Hall Tent at 5:45 p.m.